Hiring a car in Kalkan is a great idea for curious travellers who want to explore the rest of Mediterranean Turkey. Get the car delivered to your holiday home or pick it up at the airport, and from there, enjoy a week or two of exploration to see stunning landscapes, and a wealth of touristic sites and attractions. Turkey’s legal age of driving is 18, but companies won’t lease to anyone under 21. Depending on the model, you must have held your driving licence for a period ranging from 1 to 3 years. Drivers under 25 can incur a young drivers' surcharge, and anyone over 70, is barred from hiring specific models. Book in advance to avoid disappointment, especially during the height of the summer tourism season, but before you rush to get behind the wheel, here are tips for preparing your travel adventure. Choose the model wisely. A luxury, city car isn’t ideal for long distance, and if visiting during summer, air conditioning is a must. If the car doesn’t have GPS, ask the hire company if they rent them daily, or install maps into your smartphone GPS system. When you collect the car, show your passport and a valid driver’s licence. If your licence uses a non-Latin alphabet, show an international driver’s licence instead. Some hire companies take cash, but most prefer credit cards, and some charge a security deposit. Check the car over, and read the terms and conditions before signing the contract. Report all accidents to the police by dialling 155 regardless of wheter another car is involved or not. Reach the ambulance service by phoning the emergency number 112 and also call the hire company for assistance. Police will always breathalyse drivers, if they have an accident. While driving, always carry your driver’s licence, passport, insurance and registration documents in the glove box. Drive on the right-hand side and always wear seatbelts. It’s illegal to use a mobile phone while driving. At petrol stations, tell the attendant how much you want, and they fill the car up. Pay at the booth inside. Speed limits in Turkey are 50 KPH in towns and villages, 90 KPH on open roads, and 120 KPH on motorways. Always stick to them because you never know where the speed cameras are. Patara: Just 30 minutes’ drive away, Patara, Turkey’s longest beach is a stunning coastline worth seeing. The village, beach, and spectacular city ruins spread out over a considerable distance just takes a morning to stroll around. Parking facilities are available and after exploring, head to a traditional restaurant for lunch. Kas: Also sitting just 30 minutes away but in the opposite direction, delightful Kas, a small coastal resort, keeps a quaint, unique ambience. Explore the old part of town, and on the way back, stop by Kaputas Beach, the most photographed stretch of sand in Turkey. Xanthos and Letoon: Driving for 25 kilometres in a north-west direction, Xanthos and Letoon, two UNESCO World Heritage sites will excite history lovers. 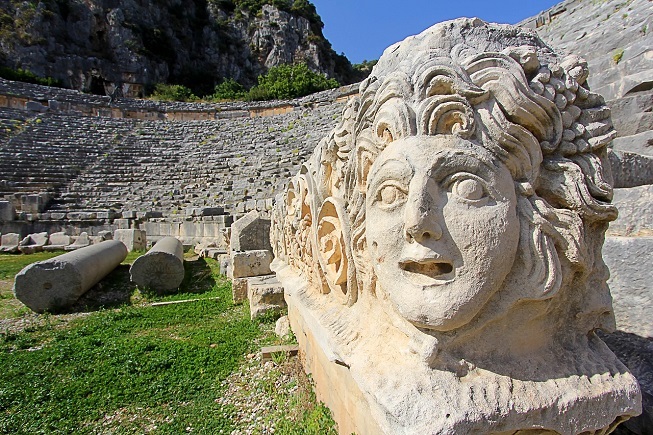 As the ancient capital of the Lycian kingdom, it shot to modern fame after inscriptions that archaeologists uncovered, revealed the ancient Lycian language, which had long been lost to the sands of time. Fethiye: This major city and smaller coastal resorts have a wealth of attractions to explore for one day. It takes just an hour to reach, and attractions include Kayakoy Ghost Village, Amyntas Rock tombs, Paspatur old town, the Blue Lagoon, Babadag Mountain, Gemiler Bay, and a museum. 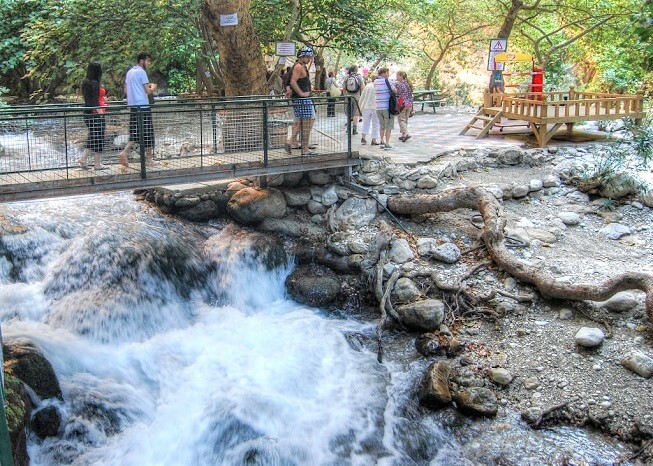 Saklikent Gorge: Everyone regardless of age adores this natural wonder landmark. At 18 kilometres long, this spectacular canyon is also 300 kilometres deep, hence water running through it never gets warm from the sun. Visitors walk into the canyon or just see it from the viewing platform before heading to nearby restaurants for a traditional trout meal. Demre and Myra: Head east from Kalkan for one hour, on the D400 highway, to arrive at Demre, a traditional working town with two major attractions. The ancient ruins of Myra include a stunning theatre and the nearby Saint Nicholas Church, is better known as the home of the good old jolly Santa Claus. Tlos: Further afield, Tlos is a 90-minute drive, but combine a visit with lunch in the nearby Yakapark mountain restaurant. Displaying a combination of Roman, Lycian, and Ottoman architecture, this place rarely sees crowds, making it a pleasant place to visit. Further Reading: If hiring a car in Kalkan has wetted your appetite for adventure, our Turkey Blog has many articles with helpful tips, advice and suggestions, on travelling and living in the country.